A biodegradable and compostable product. Cavalier Mailing are passionate about the environment as well as being ISO14001 (Environment Management) Accredited we can now offer a fully biodegradable and compostable film, made using potato / corn starch, which complies with the European standard EN13432. We are proud to have offer this environmentally friendly product. For more information or for a quote on your next direct mailing contact us on 01603 720303 or via our contact form. Why use EcoWrap – Compostable Wrapping? Newly developed technologies have been used to replace traditional polymers with environmentally-friendly, sustainable Bioplastics made of vegetable raw materials. Bioplastics are thermoplastics polymers made from renewable resources like natural and sustainable vegetable crops instead of crude oil. 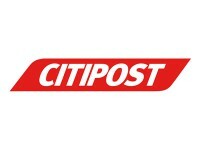 100% biodegradable and made from renewable resources, due to consumer driven demand we expect to see an increasing transition from traditional mailing film which, although recyclable, is mostly sent to land-fill and can take hundreds of years to degrade and can cause harm to the marine environment. You can choose from clear or printed packaging. Should you opt for clear packs, your brochure or catalogue, and therefore your branding, will be seen by your recipient and make an immediate impact on delivery. Some of the biggest brands consistently use this strategy, which is proven to increase direct mail ROI. 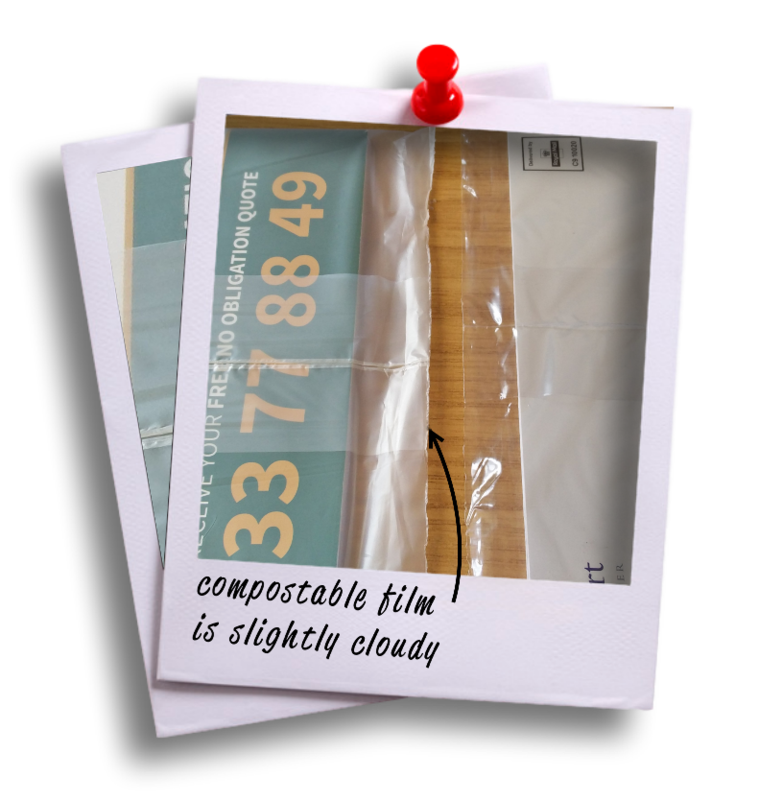 EcoWrap – Compostable Wrapping is a mailing film which is lighter than envelopes so they can help keep your mail under the postal weight bands to save you money on postage costs. We supply low cost Inkjet addressing, an effective solution for addressing carrier sheets in-line, which can then be polywrapped with other items. Alternatively we can also print addresses directly onto brochure or catalogues, which reduces carrier sheet costs. Our inkjet systems print variable text including addresses, bitmap graphics and a comprehensive range of barcodes and QR codes. As a Mailmark accredited agent, our systems can print high quality 2D barcodes onto postcards, improving postal efficiency and reducing the cost to you. In addition to the above we also provide laser printing in house. This technique has the advantage over inkjetting of producing much higher print quality. We can laser personalise pre-printed letters or something more complex with multiple merge fields. Items that are laser printed can then be wrapped with single or multiple items. First impressions count and the quality of the printed images and text on this wrapping option will promote your brand with maximum visual impact. We stock and can source a large range of clear and printed polythene. Clear EcoWrap – Can be used in conjunction with a printed paper carrier sheet or, dependant on the background contrast of the item underneath (typically magazine back cover), can be inkjet addressed directly onto. Printed Compostable Wrap – We can supply printed EcoWrap in full colour, dedicated to promoting your publication or mailshot. We are fortunate to be located next-door to the leading UK supplier of printed mailing films, Four04, so we can offer fast turnaround and competitive pricing on all printed Mailing Film options. Thanks to our team of highly flexible and trained staff we are confident we will be able to assist with your environmentally friendly projects, contact us today for further information.